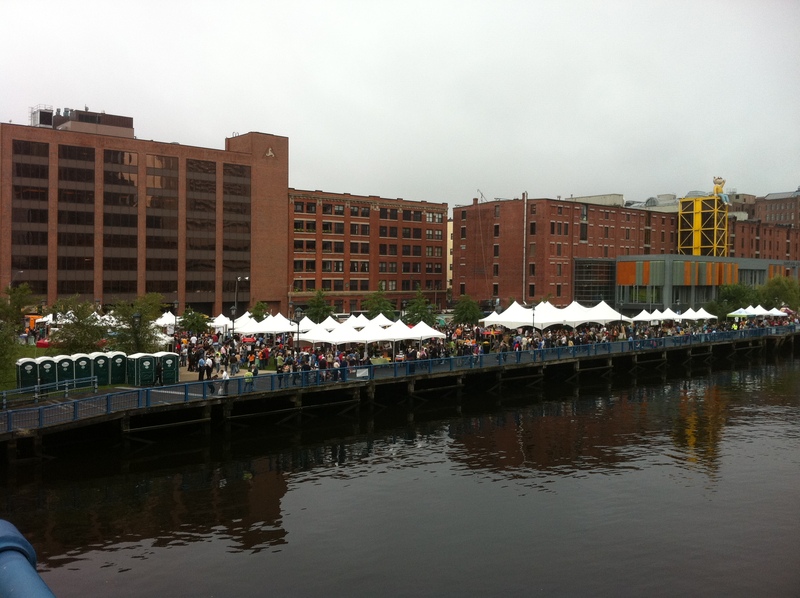 The Daily Catch Grotto also hosted three sessions of a ticketed Local Craft Brew Tasting (beer, wine, and mead). Regrettably, I missed out on purchasing tickets for the latter’s afternoon sessions, and I couldn’t bring myself to sample as early as 11:00 a.m., so no honey wine for me). 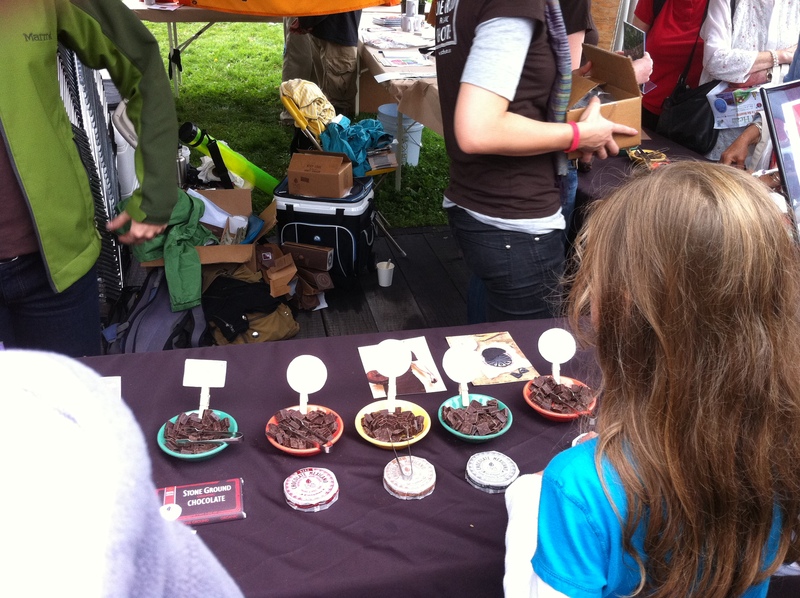 Saturday’s festival was designed as a zero waste event. In addition to directing attendees to recycle and compost just about everything, the SBN also encouraged folks to take public transportation to Fort Point Channel. Sofra’s savory Middle Eastern pastries were perched (quite innocuously) close to the festival entrance, making them even harder to resist. 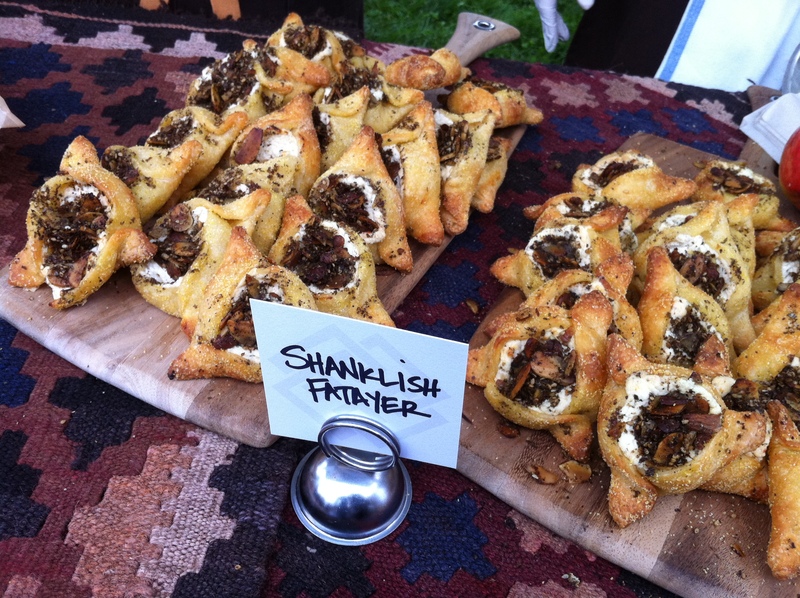 I went for the shanklish fatayer, although the butternut squash pastry looked divine. The former were buttery golden brown triangles filled with a tangy Lebanese and Syrian cheese (shanklish). You will hear more from me on this Cambridge bakery in the coming weeks, as I have begun to regard it as a bit of a pilgrimage site for pastry lovers. This is the closest that I have gotten to Marilla Cuthbert’s raspberry cordial of Anne of Green Gables fame–a splendidly inky and slightly tart berry elixir that I look forward to blending in various ways–namely, with wine, seltzer, and spirits. After sampling the cordial, I can see why it is nicknamed “Kiss of Cassis”: trust me, you won’t soon forget your first smooch! Sommerville’s Taza uses authentic Oaxacan stone grinders to produce a minimally processed chocolate with a coarser or more granular texture than European-style chocolate. The texture of the Taza chocolate is pleasantly gritty and the flavor of the chocolate is deep, dark and luxurious. The Cinnamon Mexicano Chocolate discs marry the stone ground cacao with whole cinnamon sticks. The offspring is an intensely satisfying sweetly spiced chocolate that makes you want to curl up with a hot chocolate mug on a damp day. The Counter Culture Coffee Mexicano Chocolate discs are so named because they are made with Counter Culture Coffee’s Direct Trade certified beans. It the perfect tribute to the world’s second most addictive bean (after the cacao, of course) and therefore, a coffee lover’s dream. 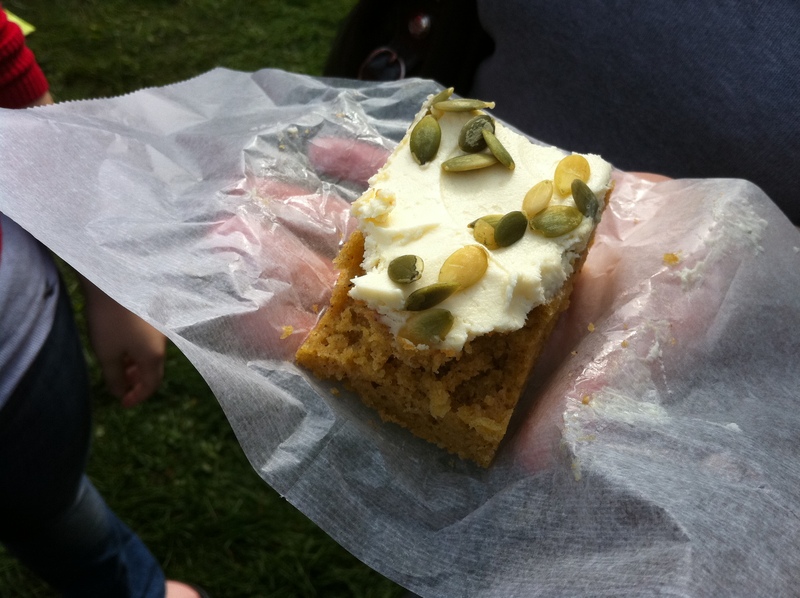 At its tastefully rustic burlap-and-sunflower-dressed table, the JP (Jamaica Plain) bakery was hawking the most buttery and indulgent of all pumpkin bars topped with pepitas and a dreamy blanket of tangy mascarpone cream cheese frosting that would make you (ok, well, me) weep. Naturally, there were a lot of both pumpkin and butternut squash products featured at the festival given the time of year, but this particular offering, well, took the cake. 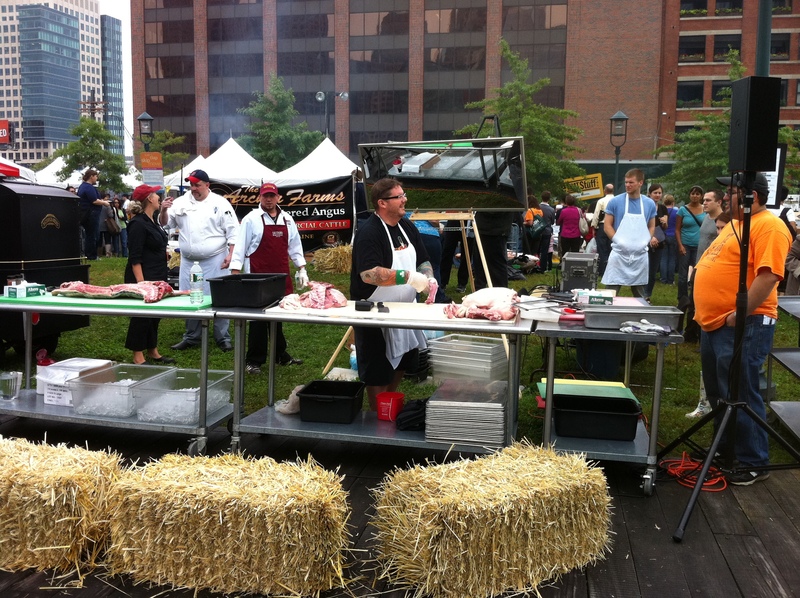 The Boston Public Market Association was also a huge presence at the Festival. I am eagerly staying tuned to hear more about the upcoming Public Market, a 30,000 square-foot year-round market selling local foods that will open adjacent to the Haymarket stop on the Green line. The Public Market has been in the works since the Association formed in 2001 to bring such an important institution to Boston. Upon its debut (anticipated in July 2012), Boston would join the ranks of Seattle, San Francisco, and Montreal–other cities with thriving year-round markets. 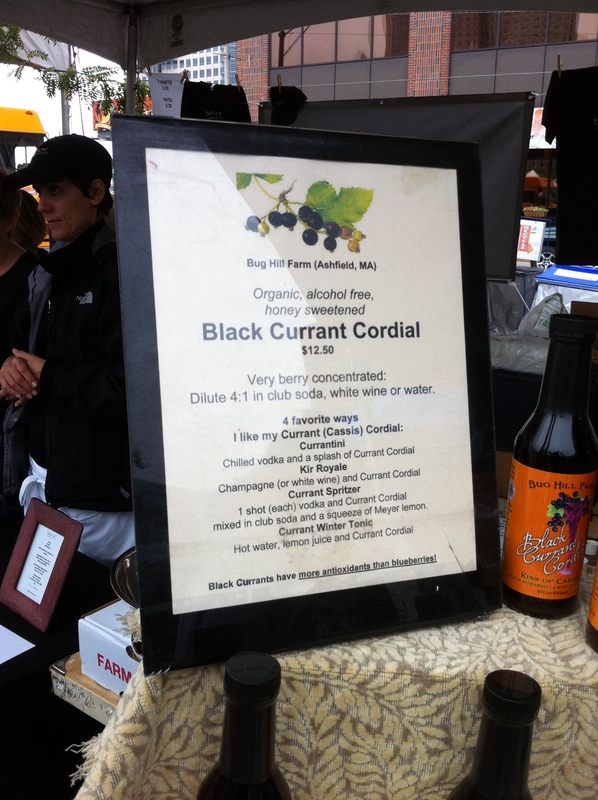 As urged by the Association’s Operations Manager Mimi Hall, with whom I chatted, I filled out a postcard thanking Governor Deval Patrick for his support of the market and letting him know that I look forward to purchasing local kale, squash, and dairy (especially yogurt). I enjoyed myself immensely at the festival; I only wish I could have made the complete rounds (an impossibility given its size). And who doesn’t love a good festival, particularly one with such an important mission?